Congratulations to Prince William and Catherine Middleton, the newly-minted Duke and Duchess of Cambridge, on their wedding. In addition to the display of royal tradition, it is also an endorsement of the sacrament of matrimony and a lessening of class divides in society. Among the invitees were royalty, political leaders and clergy. However, something hilarious happened, again with the Ahmadiyya cult, who are one of our favourite subjects on this site, usually due to such antics of theirs. All major faith denominations from the United Kingdom were represented, including at least two Muslim Imams — presumably one of Sunni persuasion and the other of Shia. The Dear Leader of the Qadiani (else their sibling rivals, the Lahoris will get annoyed) Ahmadiyya had not been invited, and being the Centre of the Universe ‘appointed by God’, he would have his own wedding party and prove his loyalty to the Crown. 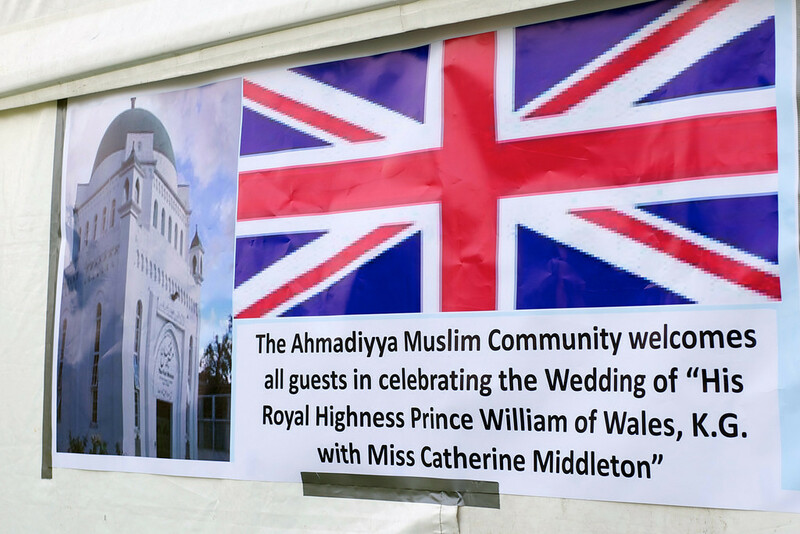 Two days before the wedding, our dear Qadianis issued press releases that on the day of the wedding, a party would be held at the London ‘Mosque’ and that surrounding residents would be invited, and their Dear Leader, the Khalifa, would be attending as well. No media outlet picked this up, as every one knew that the only religious building related to the wedding was Westminster Abbey. This is why cults are so weird, and particularly why the Ahmadiyya should never open their mouths in the name of Islam without consulting a few Muslims first. If you want to party, join a street party. This was just a cheap attempt at publicity that backfired so horribly that even their Dear Leader did not show up and was located at a real wedding close by. If you are not Christian, wish the Prince (the future head of the Church of England) and his beautiful bride, and leave it at that. If you want to party, join any one of the street parties, or apply for a license for your own. If you really want to have a wedding party in a ‘mosque’, apply the same rules that you apply to your cult followers: no mixed gatherings, strict segregation etc. And, to top it all off, this is the cult that disallows any mixed gathering on ‘real marriages’ — and recently expelled 40 people for just attending a wedding – a real Qadiani Ahmadiyya wedding. As usual, the antics of this cult hurt the Muslim image and Muslim identity wherever they go, and the media and government analysts are catching on. Click to enjoy some pictures. Follow-up: Are Ahmadis Allowed to Vote in Pakistan?